Investing in the next generation of leaders - an emerging leaders curriculum. Are you looking to develop more leaders in your church? Are you looking for a great resource produced in and for a New Zealand context? 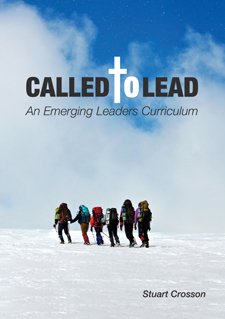 Based on many years practical teaching experience, Called to Lead is a vital and easy to use resource that will give young people a great foundation and bring out their true leadership potential. "Although Called to Lead is beneficial for leaders within the Church, it has also equipped me for my work in a 'non-church' environment. When I am in challenging situations, I go back to the things that I learned from doing this course. I would thoroughly recommend this book for anyone who is involved in leadership in any walk of life." "Stu has combined a wide range of leadership resources, tools, and issues, and has unleashed them within the context of honest, consistent and vibrant community. This course will not only build a team of emerging leaders, it provides the opportunity for experienced leaders to dedicate themselves realistically and effectively to the equipping of the next generation of leaders! If you're looking to take your leadership training to the next level, this course is for you!" Since 2006, Rev. Stuart Crosson has been the vicar of St Matthew's Anglican church, Dunedin. He is married to Mary and they have three boys. Committed to the development of lay leaders within the local church, Mary and Stu have taught the Called to Lead course for a number of years.